The long range transport of dust and anthropogenic aerosols (e.g, black carbon, organics and sulfates), and air pollution from Eurasia, across the Pacific Ocean, into North America is one of the most wide spread and major pollution events on the planet. This plume passes through the Pacific Ocean extra tropical cloud systems, which are important climate regulators through their large radiative cooling effect. The effect of this mixed dust-pollution plume on the Pacific cloud systems and the associated radiative forcing is an outstanding problem for understanding climate change and has not been explored. The primary reason is the lack of an airborne platform that can sample the evolution of this plume in situ all the way across the Pacific Ocean. 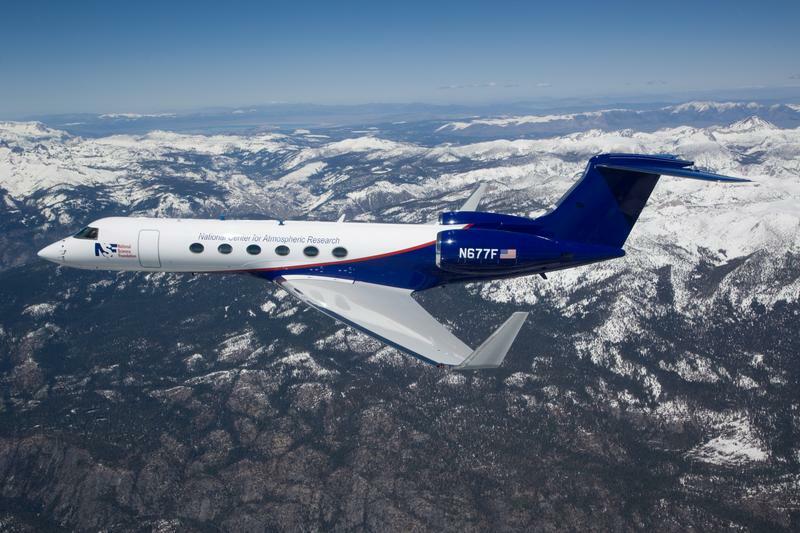 The NSF/NCAR Gulfstream-V research aircraft (G-V) fills this observational gap and opens new doors for observing this great natural/man made phenomenon. PACDEX plans for a pilot study using Lagrangian sampling of this Eurasian-Pacific-North American dust plume. We will observe the evolution of the aerosol physical and chemical characteristics from the lower to the upper troposphere, the vertical and horizontal gradients in the CCN and ice nuclei across the Pacific, and cloud size spectra and liquid and ice water content. This pilot experiment is designed to exploit and demonstrate the unique capabilities of the G-V. The PACific Dust EXperiment (PACDEX) has the potential to open new frontiers of science by observing human impacts on the mixed-phase and ice-phase cirrus cloud systems. Identification of the principal cloud-active aerosol in the Asian plume. This will be done using the CCN measurements and the IN measurements together with the basic aerosol package on the G-V. Document the solar changes in the plume vertical structure in clear air and cloudy regions. Document near source and far from source changes in the plume that might affect (a), (b) and (c). While the sampling cannot be truly Lagrangian, due to the effects of wind shear over the depth of the plume, we can identify regions with various ages using trajectory analysis and model simulations. Compare the in-situ vertical structure observed from the aircraft upwind and near the ground stations. Trace gases that identify clean and polluted air. Aerosol physical properties (total number concentration and size distribution), basic chemical composition (dust, black carbon, sulfates and organics (if possible), characterization of cloud active nuclei (CCN, giant nuclei, and ice nuclei), and aerosol light scattering and absorption. Cloud microphysical properties - basic measurements for droplet, ice, and precipitation size spectra, water and ice content, including a CVI for condensed water content and residual particle composition. G-V instrumentation. Additional instrumentation to measure the terrestrial component may also be pursued, but is not part of the current request.